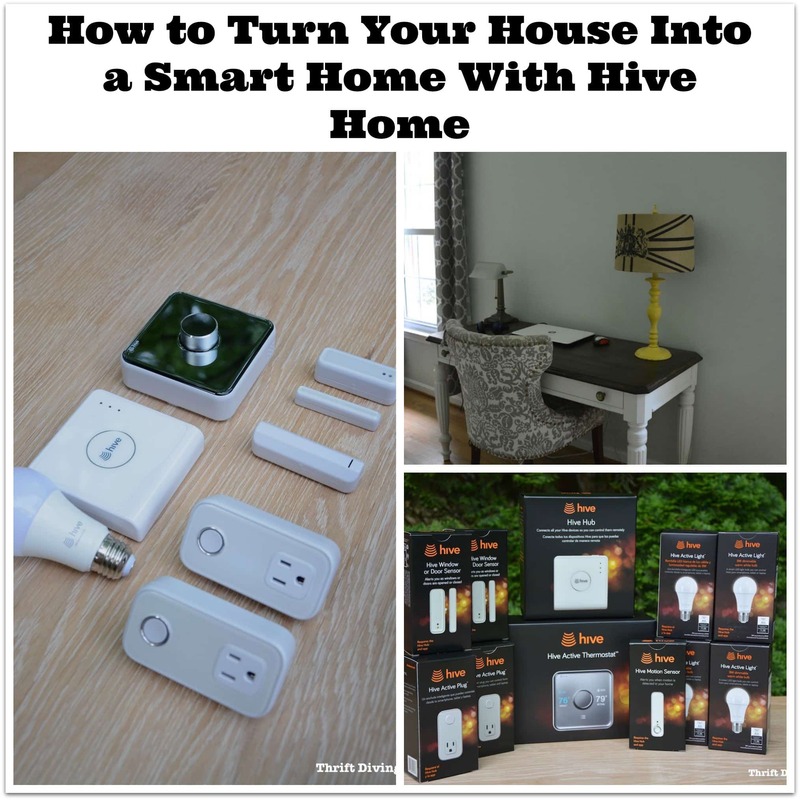 This post on turning your house into a smart home is sponsored by Hive Home. All opinions belong to Thrift Diving. My husband always teases me that I’m the last one to know and do everything. But the curiosity was there. I recall those moments when I’ve left the house and wondered if I had turned off the lights. Or wondered if I had left my space heater on, rushing home to find that it was still blasting away, unabated, in the basement underneath my desk! Can we say “fire hazard”?? Times like those, I wish I’d had an easy way to shut things down without the worry. Or that I’d had a way to turn the lights on without being home! So when Hive Home reached out and asked if I wanted to try their Hive smart technology to convert parts of my house into a “smart home” I was definitely curious! Smart homes have been around since the mid 90’s, gaining popularity in the early 2000’s. But the way we’re seeing smart homes now is mind-blowing. I’m talking everything from smart thermostats, smart appliances that you can text to turn on, and even controlling the lights all from the devices glued to our hands: our phones, tablets, and computers! I was excited to try Hive and see if all the chatter was really what it was cracked up to be. Hive Home is the UK’s leading smart home brand and is launching widely in the United States and Canada this month, June 2017. 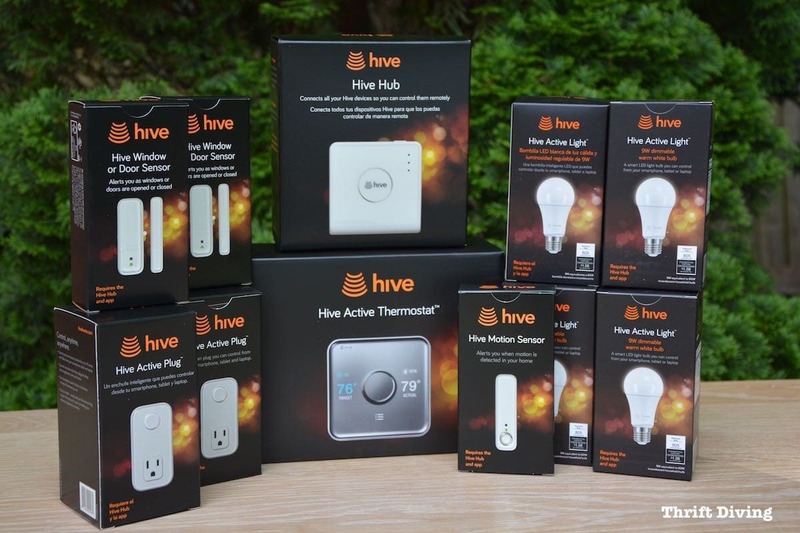 They’re offering the several packages/plans, including their Hive Welcome Home plan, which lets people adjust their heating and air conditioning, lighting, and appliances from wherever they are. 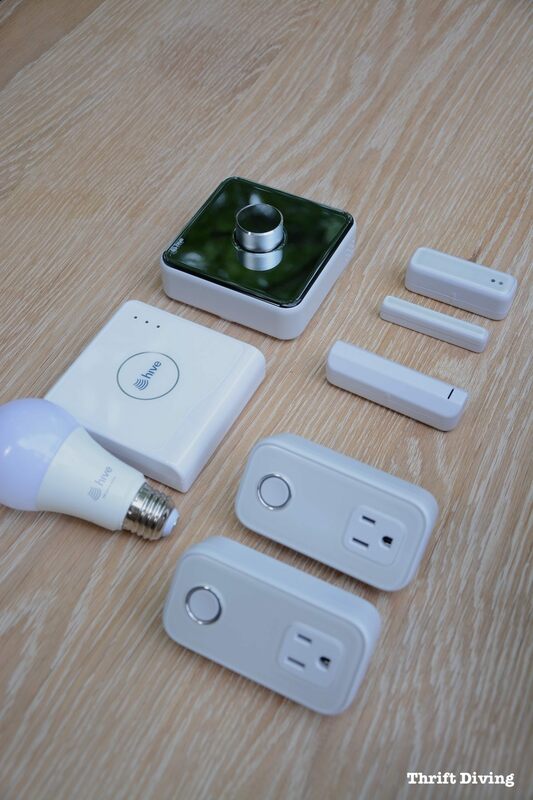 This is what they sent me to try out, which is everything included in the Welcome Home plan (be sure to check out their other plans, which include the Starter, Standard, and Premium smart ecosystem plans. FYI, Hive devices come as part of a plan; you can’t buy the devices separately). 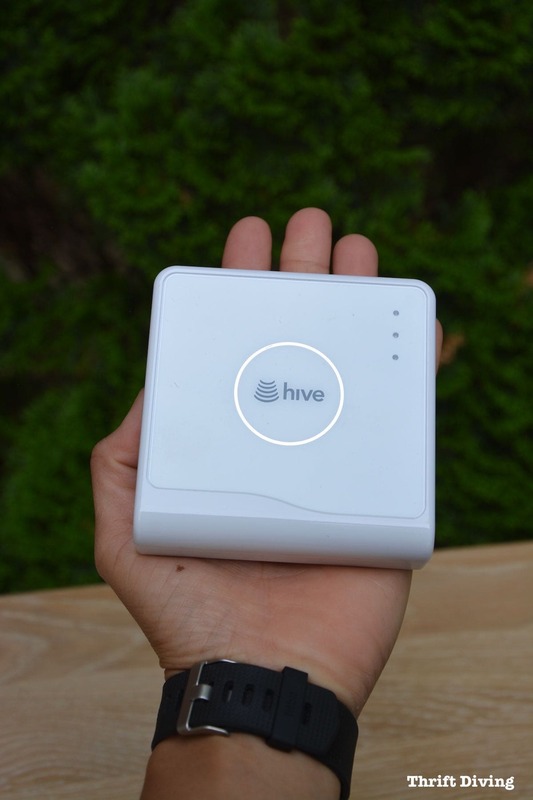 1 Hive Hub™ – Simply plugs into your router and contacts all your Hive devices to the app. 1 Hive Active Thermostat™ – Allows you to control heating and cooling at home or via your smartphone. 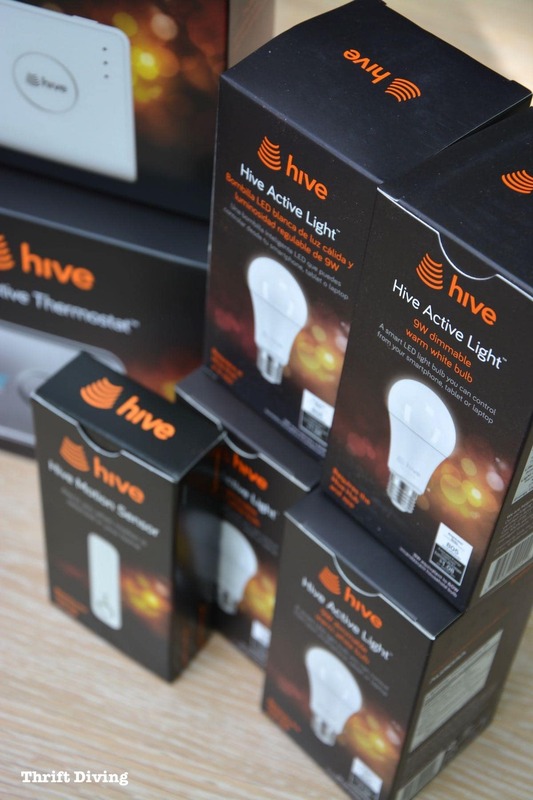 4 Hive Active Lights™ – Can be switched on and off, set schedules, dim the lights, all with the app! 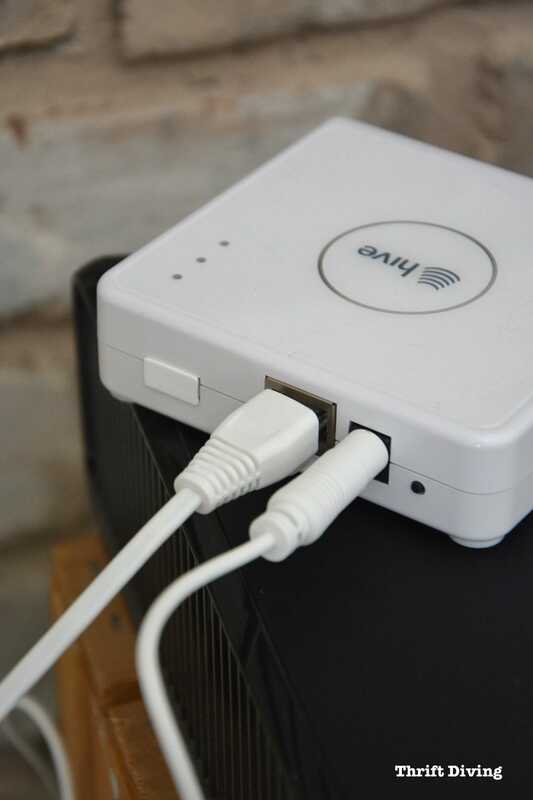 2 Hive Active Plugs™ – Allows you to turn off and on appliances like irons, radios, lamps, anywhere at any time. 2 Hive Window or Door Sensors™ – Sensors are stuck to your doors or windows and sends alerts to your smartphone when doors or windows are opened or closed! 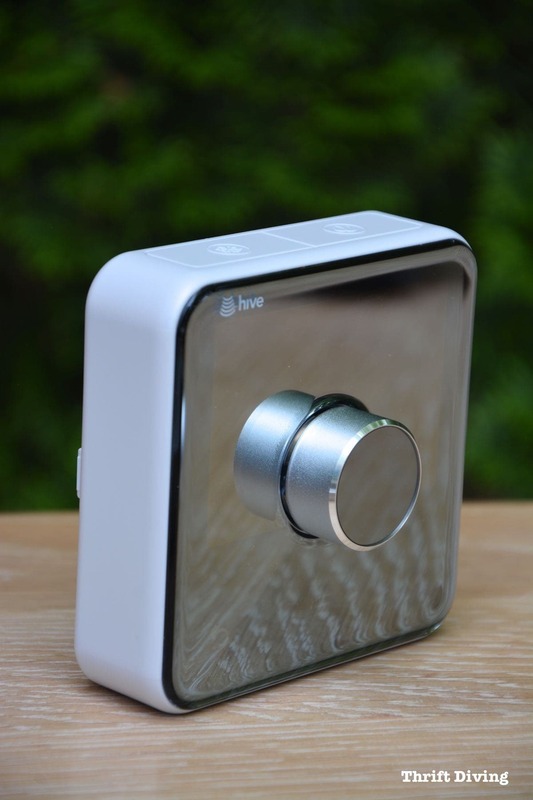 1 Hive Motion Sensor™ – Sensor will send an alert to your smartphone if there’s movement in your home. The app is free in the iPhone App store and for Android in Google Play. You can also get it on Amazon. You’ll have to set up a free account. Set-up was super easy! The hub fits in the palm of your hand, plus it comes with the ethernet cable needed to connect it to your router. 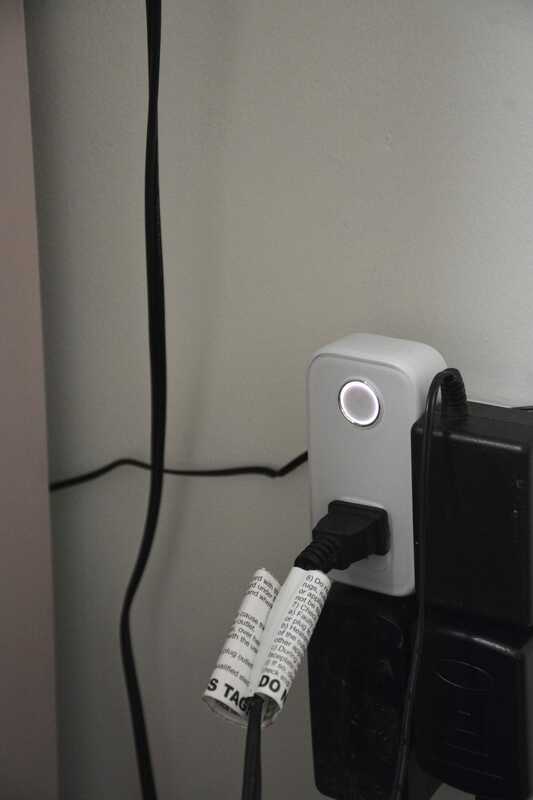 With the hub correctly plugged in, all your Hive devices can now be controlled with the app. I wasn’t sure where I was going to put all my Hive devices. I wanted to put them everywhere! As I decided where to use the devices, I installed them via the app very easily in a matter of minutes. I had to make sure the devices were on, plugged in, and ready to be paired. 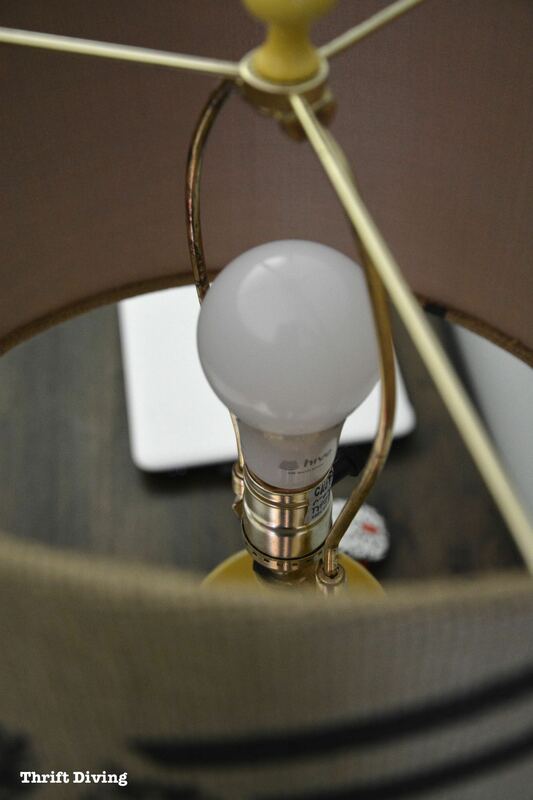 I can’t believe that light bulbs are smart now. I simply screwed the lightbulb in, turned on the light, and within about 1.5 minutes, the app recognized the Hive Active Lights™ and I could control its brightness with a swipe of my finger! Are there rooms I wish I could walk into and not fumble for light switches? When going on vacation, which lighted rooms could deter burglars? Which rooms would I find it most helpful to be able to control with an app? Are there certain lights that I wish I could have a dimmer light installed? 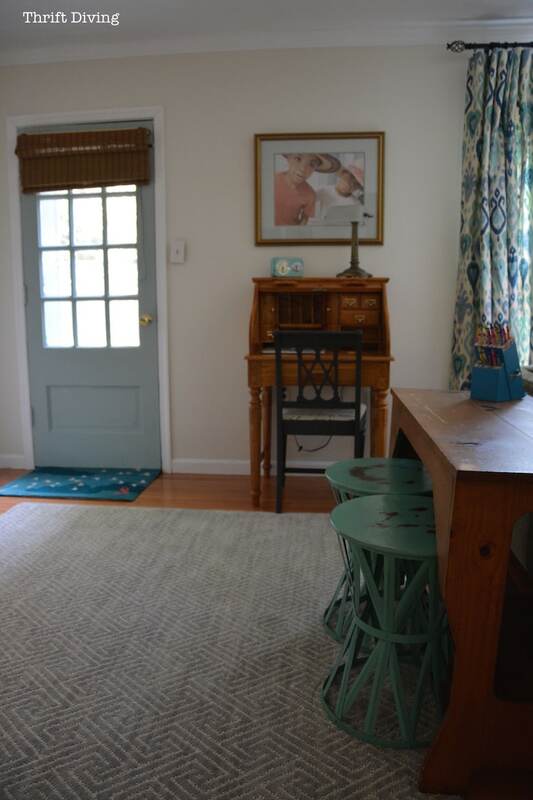 Which interior lights would I love to be able to set lights on a schedule? 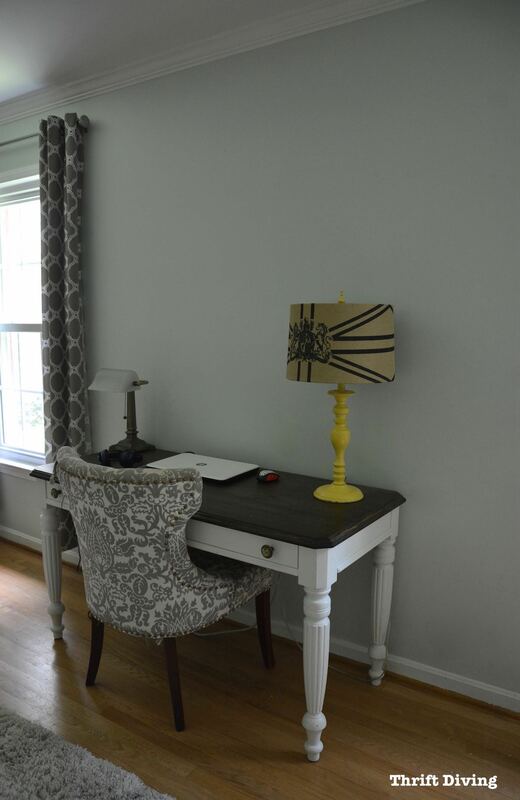 For me, I chose the lamps in the family room and the computer room. Aside from the kitchen, those are the rooms we use most often. I’m excited about the possibility of dimming the lights with the app! And when we’re away from home and it gets dark, I can turn on the lights and create a welcoming home when we arrive. Yay! If your house is like mine, you have a lot of entry points into your home! We have 5 doors leading into the house, and 23 windows! Gasp! This Welcome Home plan won’t cover all your doors and windows, so you should choose the doors that are going to be most important. Which doors and windows around my home are most obscure and need monitoring the most? For us, I chose to install the door sensors at this door in our family room. It’s a door we rarely use, but it’s a door I consider to be the least secure. I was even able to set up an alert with the Hive app so that if this door is opened, the light in the family room with the Hive Active Light™ will turn on automatically (possibly deterring someone who’s unlawfully entering!). Love that! The other sensor went onto the kitchen back door so that I can be alerted if the kids go outside without permission! The installation was super easy. I simply peeled off the double-sided tape that came in the packaging and stuck one part of the sensor onto the door, and the other part of the sensor on the door frame close to the top. The sensor has to be no more than 3/8″ apart for it to work. Once synced with the app, it worked great! I love the idea of turning off appliances and electronics with an app! Which appliances am I always afraid I’ve left on? Do I have forgetful people in my home that tend to leave on appliances that should be turned off? Are there appliances plugged into hard to reach spaces that I wish I could remotely be turned on and off? In this household, I’m notorious for leaving my space heater on! But sometimes in my haste to pick up the kids from school or being called upstairs for dinner, I forget to turn off the space heater. So I plugged my space heater into one of the Hive Active Plugs™ so that I can always shut it down remotely if I forget to turn it off! I haven’t had time to set up the motion sensor or the thermostat yet! The thermostat is pretty sleek! We have a thermostat with our electric company so I just need to call them to come and remove it and take back their device. Then hubby and I will easily install this one, no professional needed! I love the idea of controlling the temperature at home and away from home, especially on vacations! STEP 6: Have Fun and Customize It! The set-up was very easy, but this is the fun part: customization! Using these types of smart devices really makes you think about how your family lives and how you want to enjoy your time at home and how you want to make your life better. Coming home to a dark and (at times) scary house is a thing of the past, especially if you live alone and have no pets. With these smart devices, you can come home to the temperature how you like it, with the lighting just right, and hopefully one day, a full cooked meal prepared for you! (Oh–we already have crock pots for that….! HA! Okay, maybe an app-driven wine dispenser. Yeah, there ya go…). After fiddling around with these devices, I’ve come up with my own list of Pros and Cons you might want to consider when using this type of smart technology for your home. The set-up is easy. Takes only minutes per smart device. You can manage and monitor your home while away. Safely shut off devices that you may have forgotten to turn off while away from home. Great lighting option for a kids room and turning the lights on for them ahead of time if they’re afraid of the dark. Schedule when lights go on and off and set it to your preference. Monitor when kids get home with the door alert sensor. Hive app can be downloaded for all the family members’ devices. Requires a monthly subscription to their service, which some may not want to pay for. 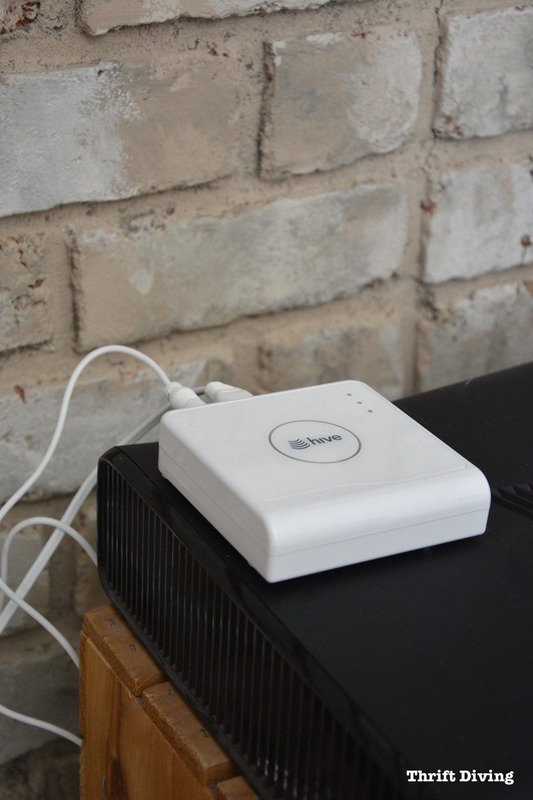 Devices that are further away from the Hub may not work, especially in large homes. You may need a signal booster. Although the initial cost is low, over months and years, the cost could add up. To manage devices, switches must be on. Won’t work if switches are turned off, like the light switches. It can take some time to change habits of wanting to manually turn off the lights when leaving a room. Always have to leave appliances plugged into the smart plugs, which may scare away frugal-minded people that like to unplug everything. Overall, I’m excited about this technology! I can’t believe I waited this long to jump on the smart home bandwagon, but I’m glad I did. So what about you? Have you incorporated smart technology into your home yet? 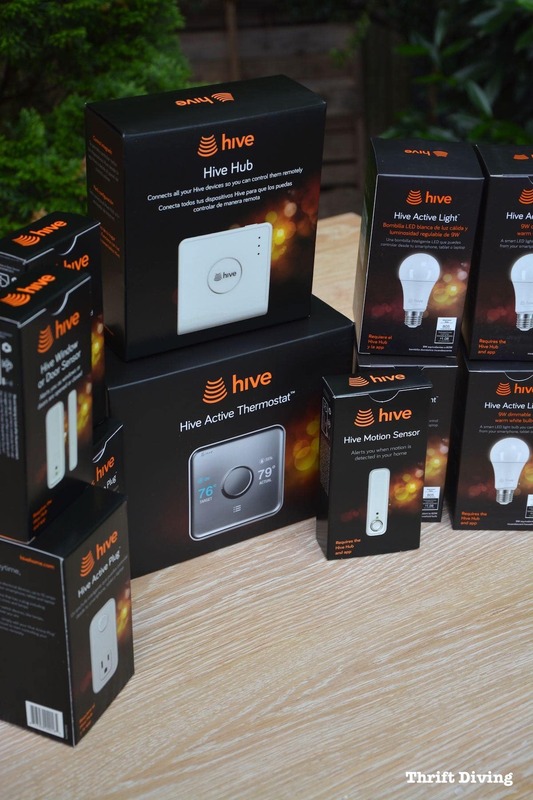 Be sure to sign up for the Hive Welcome Home plan if you like the idea of turning your house into a smart home, too! 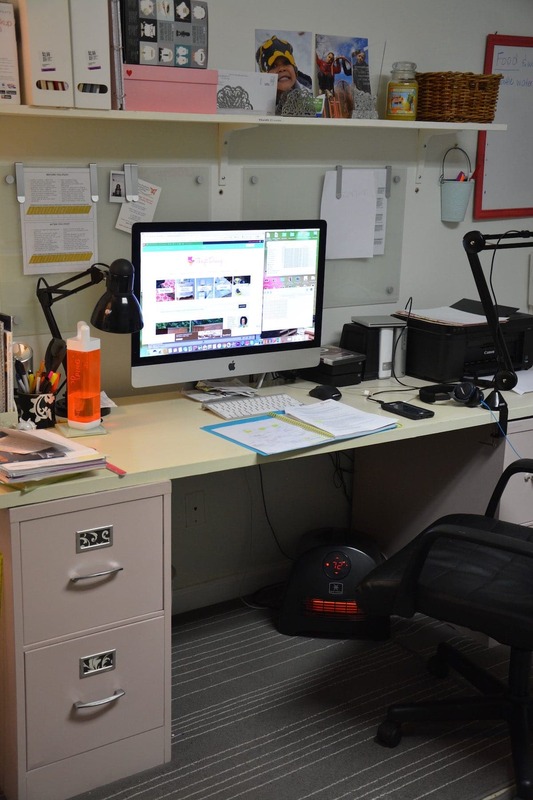 « Reader of the Month: Meet Zovesta! Hive is so good, but I do have to agree with Mary. I would rather pay a larger upfront fee for a service like this than pay monthly. It just adds up too quickly for the convenience. I would suggest using it if you can afford to though! Hi.. I have been wanting something like this for my home. I am looking for something that will control my outside lights. I put them on at night and turn off when I go to bed. But when I travel I want something that I can turn on from my phone to mimic my everyday habits. This would be good for turning on the radio during the day etc. We have an app that controls our security system. I love it because I always wonder if I locked the door. I also have an app for the HVAC. It is great when you are away from home to have control. That’s awesome, Candice! So if you haven’t locked the door, will it tell you, and can you lock the door automatically with the app? We don’t have a security system, but that sounds like something I’d like to look in to! is almost none existent. And I have a ring door bell.not paying monthly for any so called smart home stuff sorry. Solar! Yes, we have solar panels, too! We did it through the state where we didn’t have to pay anything up front, but we just pay the monthly bill. However, it hasn’t totally replaced our electric company. I still get a bill from them, and really haven’t evaluated whether we’re saving any money (or how much good we’re doing for the environment). I have to look more closely to see the benefits! I definitely hear what you mean about paying monthly. That’s one of the biggest disadvantages that I saw, too! Our house is dumb and will probably stay that way. There are too many ways for people to hack into smart systems. We have a regular programmable thermostat that works great and I use old fashioned timers on the lights that I want to come on early. We do have a monitoring alarm system on the doors and windows. My big techy thing for the house is the keyless garage door opener. Saved me countless times from being locked out by accident! The only thing I’d really like is a motion sensor light switch for the bathroom my hubby uses. He constantly forgets to turn the light off when he leaves. I had to chuckle a little bit thinking about your husband not turning off the light! Yep, I totally get that. I love the idea of motion sensor light switches and being able to schedule them so that during the day, they may not come on when it’s sunny if that’s a room that gets a lot of sunlight. Automation is cool. 🙂 Thanks, Linda! This looks awesome! We have a thermostat that claims to be smart, but we can’t figure it out so I’m kind of turned off sometimes by some of the smart home stuff. One of the things I love is the keyless locks on our doors. 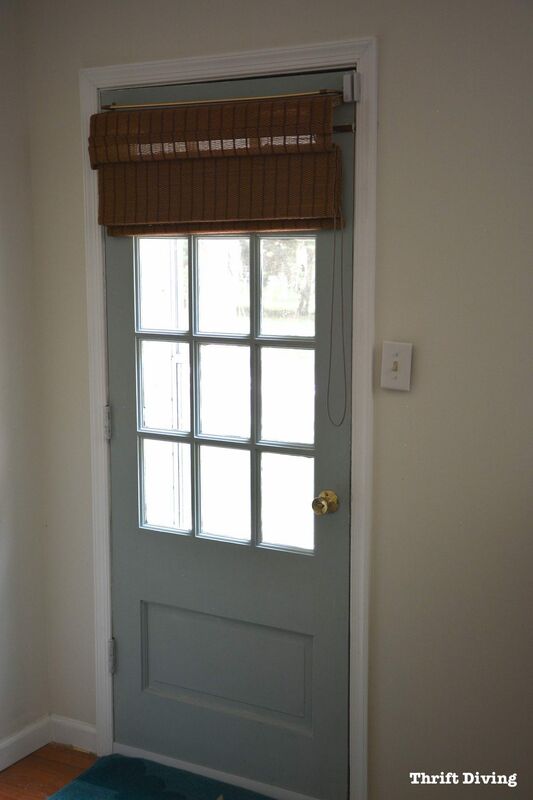 I can leave the house to go on a walk or lock the door easily if I’m planning to enter in a different door and it’s one of my favorite features we added to our house. Oooh, Haley, tell me more about this keyless locks technology! Do you have to enter like a 6-digit pin or something? How expensive was it to add to your home? I’d love something like this. I’ve been wanting to get new front doors for our house. I’ll definitely keep this in mind as something to add in! We have a 4 digit code that we enter and we each have a different one. I don’t know the name of the brand off the top of my head but they were like $100 and I saw them for sale for half that price around black Friday at Home Depot (I’ll look when I get home). I believe they also had something called a smart key, so it’s really easy to change the core and switch it to the key that you want so the doors can match. 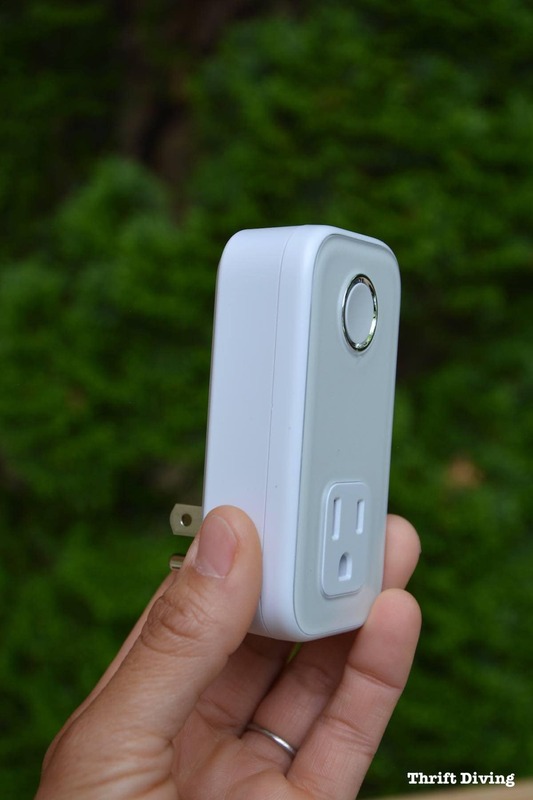 It has been one of my favorite things we’ve done to our house so far and makes carrying all my stuff and kids so much easier… you don’t have to fumble with keys and you only need one finger free to punch in the code. It will also be good when our kids are a little bit older so they just need the code and not have to worry about a key.